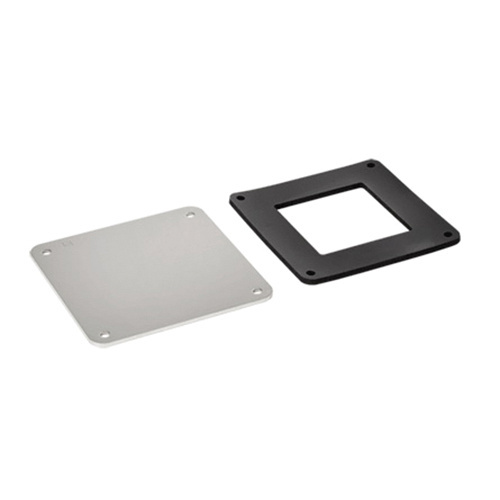 Hoffman Closure plate has 16-Gauge 304 stainless steel construction with No 2B finish for corrosion resistance and durability. It has NEMA 4/4X/12 rated enclosure for safety. The closure plate measuring 7.62-Inch x 7.62-Inch, is ideal to seal the end of a wireway section or run and suitable for type 4X feed-through lay-in 6-Inch x 6-Inch wireway. Closure plate meets UL 870, E27524, CSA File No. 42184, NEMA Type 4, 4X, 12 and IEC 60529 standards.